IndMS is happy to announce the 2nd International Conference on Myofascial Pain Syndrome and Fibromyalgia Pain Syndrome from October 25 to October 30, 2018. More than 40+ Lectures and Selected abstracts are available inside. Ground-breaking research and practice methods by the Gurus in the field of Myofascial Pain Syndrome and Fibromyalgia Syndrome. A must needed guide for your daily Physical Therapy Practice. 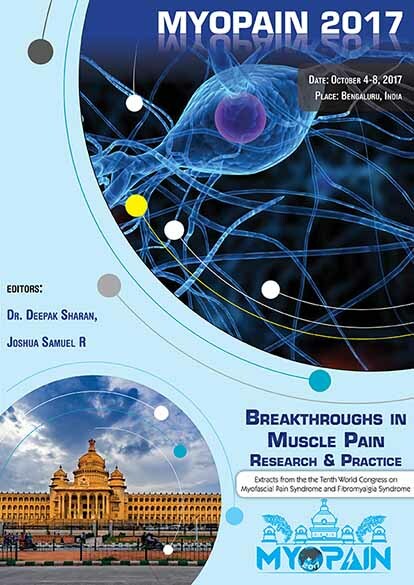 The information provided in this book are the extracts from the Scientific programme of the Tenth International Congress on Myofascial Pain Syndrome and Fibromyalgia Syndrome (MYOPAIN 2017) held at Bengaluru, India, from October 4 to 8, 2017.
Who should I join the IndMS? • Physicians: rehabilitation physicians, pain physicians, rheumatologists, occupational health physicians, neurologists, neurosurgeons, orthopedic surgeons, etc. However, they can be successfully treated by specially trained and skilled healthcare professionals. The Indian chapter also has responsibilities toward meeting the high standards of scientific endeavors and education of the IMS, which was founded in 1997. IndMS will communicate with the IMS; submit annual financial and activity reports; report changes in officers and contact information; update chapter member lists; and adhere to IMS policies concerning chapter membership, meeting sponsorship, and management of funds. Network with a diverse group of health care professionals and patients through regional and International meetings, on-line communities, and newsletter. Online access to the MYOPAIN Journal, which is the premier international journal focused on MYOPAIN disorders. International MYOPAIN Congress brings together diverse scientists and clinicians to present and discuss cutting edge research. Regional MYOPAIN India Meetings provide clinical seminars and topical workshops to learn more about MYOPAIN disorders and receive CE credit. 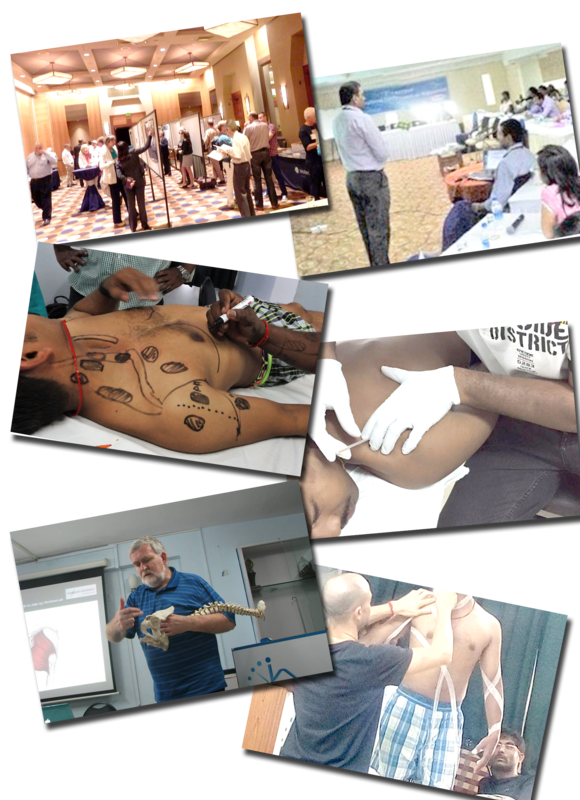 Significant Discounts to International MYOPAIN Congress, regional MYOPAIN India meetings, training courses on MYOPAIN conditions, e.g., Fascial Manipulation, and patient educational programs. MYOPAIN Virtual Library provides educational resources for patients and health professionals to use in practices. Educational Research Grants are available for investigators present their findings at the International MYOPAIN Congress and regional MYOPAIN India meetings. Advanced short and long term MYOPAIN fellowships at RECOUP Neuromusculoskeletal Rehabilitation Centre, Bangalore, India (www.recoup.in). International professional membership directory including referrals.